Ethiopia is a nation with a rich history: the birthplace of the coffee bean, our oldest-known human ancestor, and home to some of the earliest Christian churches. The only African country to resist European colonization, Ethiopia became an icon of freedom for artists and poets. Ethiopia takes great pride in its own story; and its artists possesses a wealth of talent to bring those stories to the world. As world economies entwine and media production becomes more affordable and accessible, world cinema has flowered. Nigeria’s film industry was rated as the third most valuable film industry in the world, generating (US)$10 billion in 2013 alone. 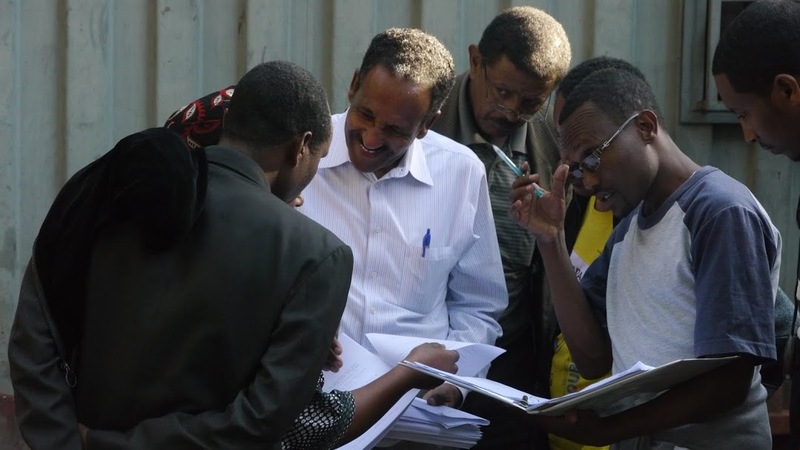 The Ethiopian film industry has the same potential. It has experienced rapid growth in the last ten years: producing only five films a year in 2004 to producing over a hundred in 2014. 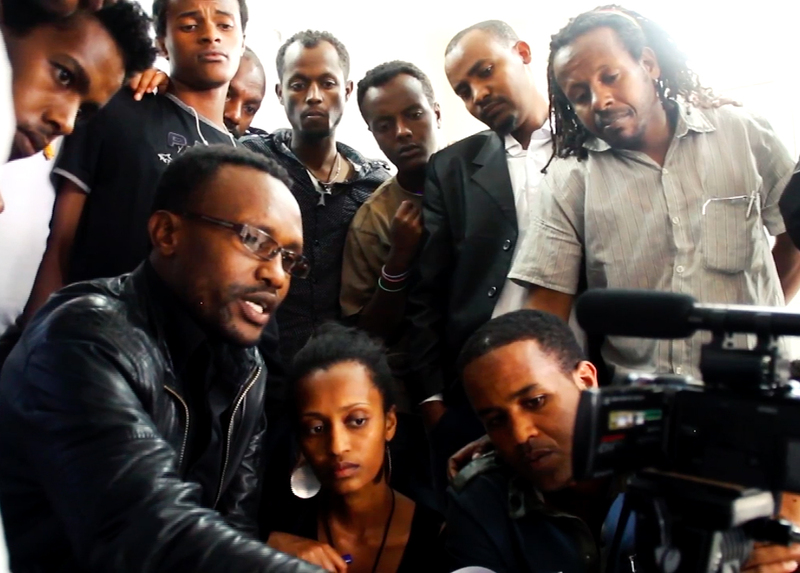 Yet Ethiopia has no formal film school or technical college to equip its emerging artists and entrepreneurs. These next-generation artists worry that their films will never rise above the level of amateur or find an audience outside their own communities. They fear they’ll be forced to mimic the style, content and values of foreign films just to make a living, let alone find their voice. The Sandscribe Foundation believes that local and international collaboration can foster not only a vibrant Ethiopian film industry, but also promote positive values and teamwork that go hand in hand with artistic endeavor. Sandscribe’s founder, Dhaba Wayessa, was the only child in his village to go to school. He made his way to college, where he studied at National University in Addis Ababa. While there, two of his plays were presented at the prestigious National Theater and two more at nationally recognized theaters in the capitol. Wayessa emigrated to the United States, where he earned a BA and MFA in film from Howard University. He has worked as a journalist in Washington DC for nearly two decades. But he has never forgotten his dream to help aspiring Ethiopian filmmakers. Thus, the Sandscribe Foundation was born: to equip and encourage emerging artists in Ethiopia, so that they may create work which reflect the stories, values, and ideas that only Ethiopia can tell.